Priced below KBB Fair Purchase Price! 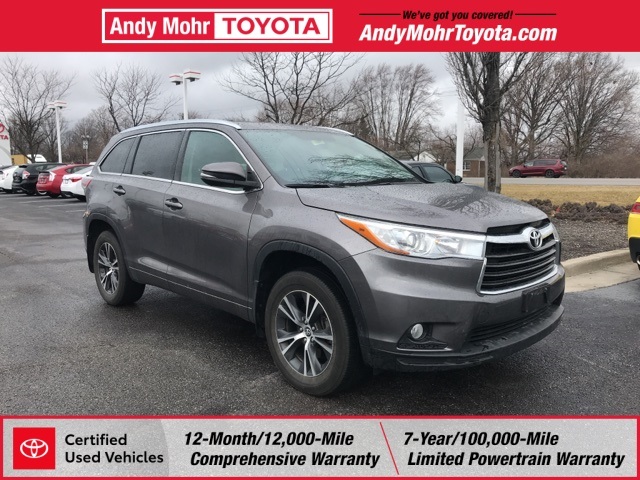 1 OWNER, Accident Free Carfax History, Great Service History, CERTIFIED, Highlander XLE V6, 3.5L V6 DOHC Dual VVT-i 24V, 6-Speed Automatic Electronic with Overdrive, AWD, Predawn Gray Mica, 2nd Row Captain Chairs, 3rd row seats: split-bench, Brake assist, Dual front side impact airbags, Entune Premium Audio: 8" Hi-Res Touch Screen Display, Exterior Parking Camera Rear, Fully automatic headlights, Garage door transmitter, Illuminated entry, Navigation System, Power driver seat, Power Liftgate, Power moonroof, Remote keyless entry, Security system, Split folding rear seat, Steering wheel mounted audio controls, Sun blinds, Turn signal indicator mirrors. Certified. 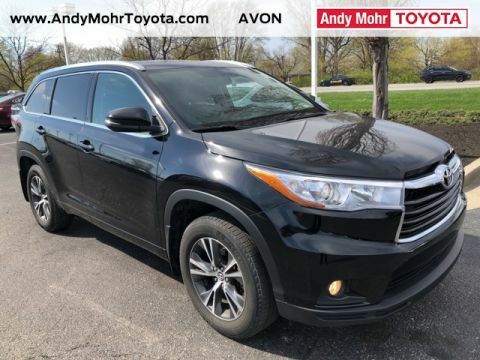 Visit us at: 8941 E. Highway 36 Avon, IN 46123 By Phone 317.713.8181 or www.andymohrtoyota.com. Doc fee of $199. PLUS certification on qualifying vehicles. 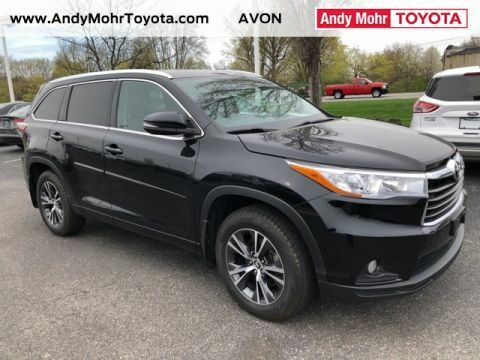 Toyota Credit rebate may be included in price. 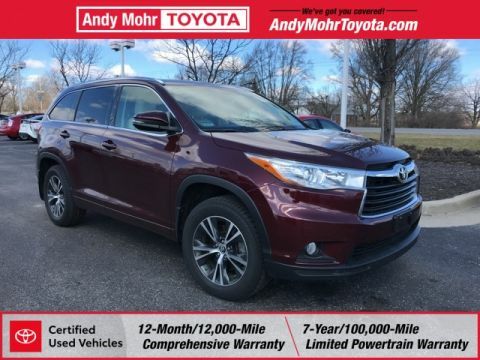 Financing through Toyota Motor Credit may be required for all rebates/incentives to apply. Rebates and incentives are handled on an individual basis and every customer may not qualify for every rebate. Examples may include rebates based on fuel type various packages trade in assistance or other stipulations. All rebates issued to Dealer and subject to change and could affect final price. While great effort is made to ensure the accuracy of the information on this site errors do occur so please verify information with a customer service rep. This is easily done by calling us at 317-713-8181 or by visiting us at the dealership. **With approved credit. Terms may vary. 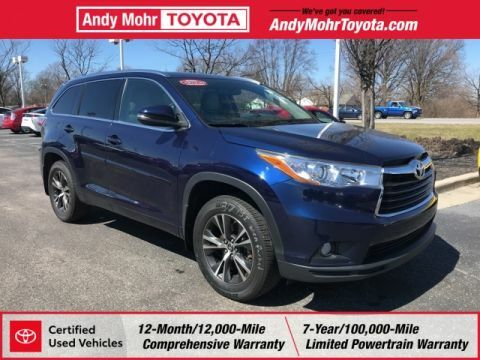 Monthly payments are only estimates derived from the vehicle price with a 72 month term 2.9% interest and 20% downpayment.